Melania Demands Firing Of Top Security Official - Joe.My.God. Melania Trump has ensured the departure of one White House official, deputy national security adviser Mira Ricardel, after she had a series of run-ins with the first lady’s office. Stephanie Grisham, the first lady’s communications director, issued a pointed statement on Tuesday saying as much. 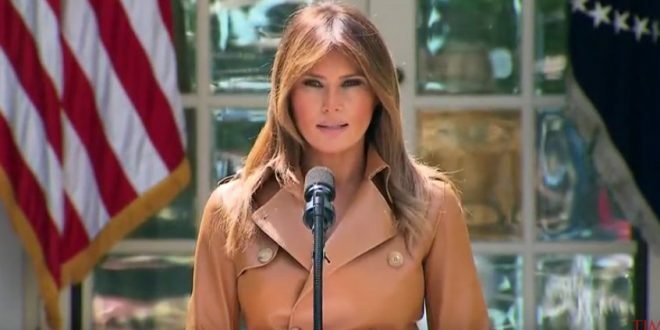 “It is the position of the Office of the First Lady that she no longer deserves the honor of serving in this White House,” Grisham said. It’s an extraordinary, if not unprecedented, move for the first lady’s office to publicly call for the firing of a NSC official. Mira Ricardel got into a spat recently with the East Wing, I’m told. Ricardel was upset the first lady’s team didn’t have room for her on the plane for Africa trip, and tried to block NSC resources for the trip. Chief John Kelly intervened on 1st lady’s behalf.